Walk into Stellar Beans on Broad St., Lake Charles, and you’ll see beautiful handmade pottery throughout the coffee shop – steaming mugs of dark roast, plates of beignets, large bowls displaying yogurt parfaits. 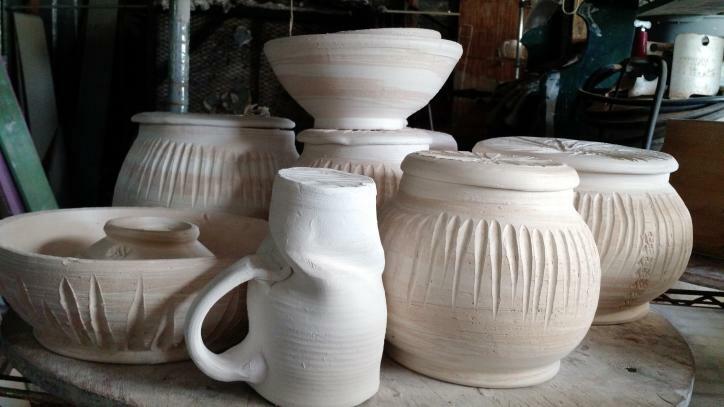 These pottery pieces are the work of local potter Rex Alexander. Alexander has been making pottery for sixteen years. 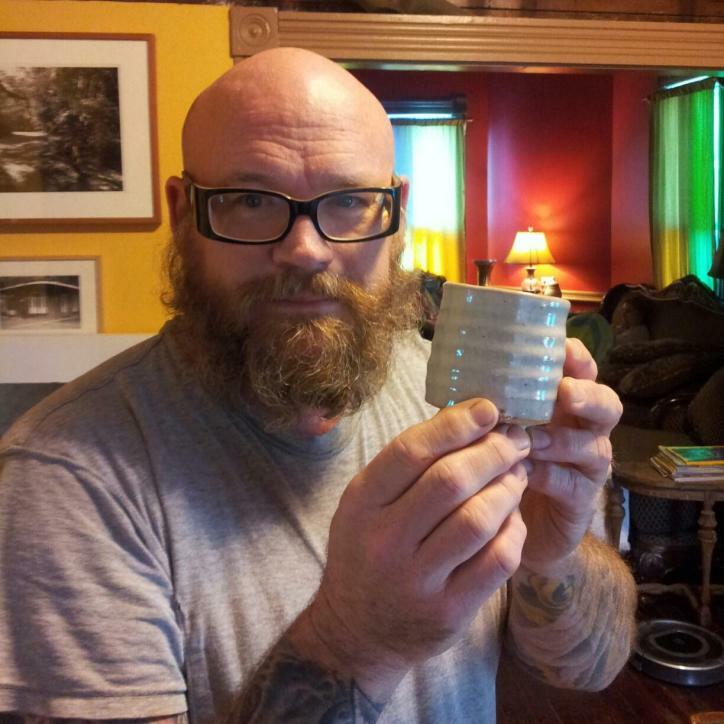 He describes his work as “functional.” His kitchen overflows with shelves of mugs, countertop canisters, and bowls of all shapes and sizes. His front porch displays plants growing in pots he created in his backyard shop. Some pieces are similar, but no two are exactly alike. Part of the fun of pottery for Alexander is that he never knows what a project will look like until it comes out of the kiln. Alexander discovered his talent somewhat later in life. As a child, he made Indian pipes and arrow heads out of clay he found in his yard. He enjoyed crafts like basket weaving in Boy Scouts. But he never considered himself an artist. At the age of 39, he attended McNeese State University as a geology major. On his way to a final exam one day, he smelled smoke. Upon investigation, Alexander discovered some women outside the fine arts building firing pottery in an open pit. Alexander occasionally attends festivals and other events such as Live at the Lakefront and Downtown at Sundown. But he doesn’t only display and sell his work. He actively demonstrates his craft. He takes his wheel and bags of clay and sets up shop under a tent. He enjoys sharing his technique with children and other festival-goers. Even if he doesn’t sell many pieces at an event, he uses that time to add to his inventory. His next event will be Lake Charles’ Chuck Fest on October 10. Certainly, Alexander sells his art, but he also enjoys simply sharing his work. 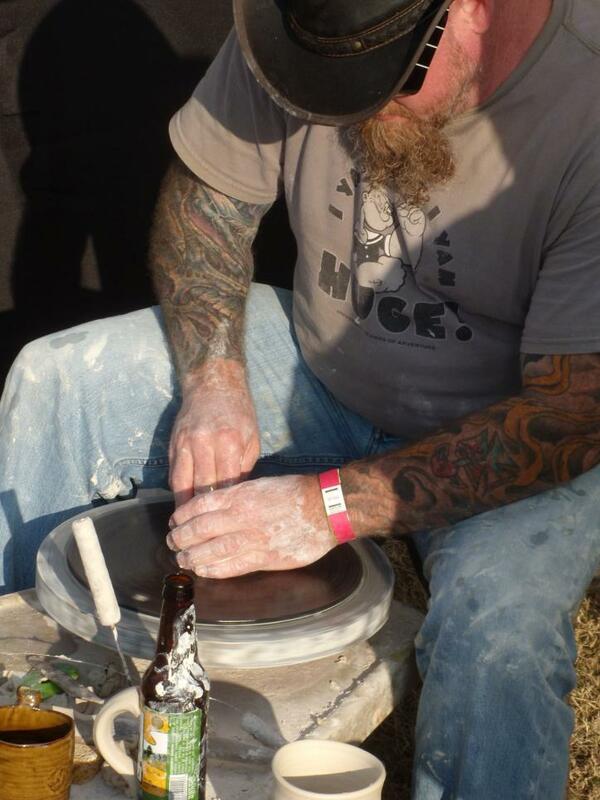 He makes pottery as gifts for family, friends, and his wife Toni. 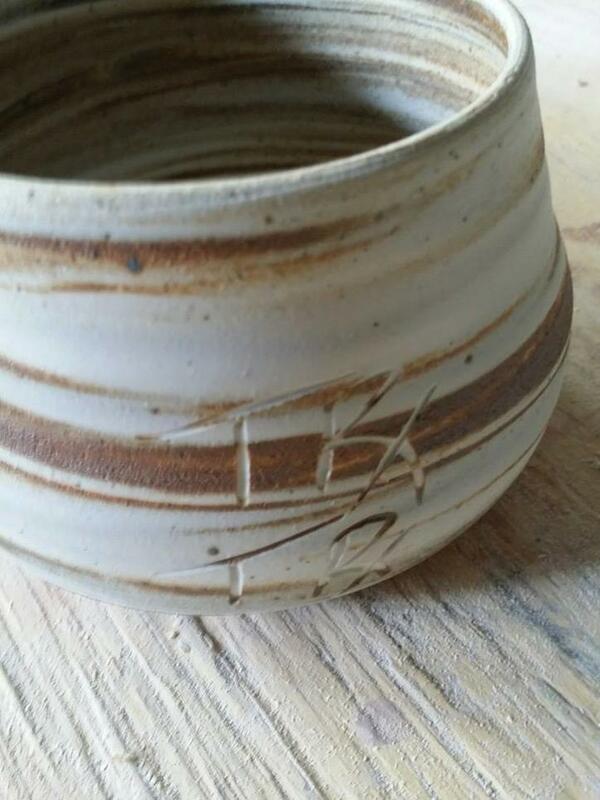 He donates pots to charities and fundraising events. He has made and donated hundreds of bowls to the local Salvation Army’s annual fundraiser, the Empty Bowl. 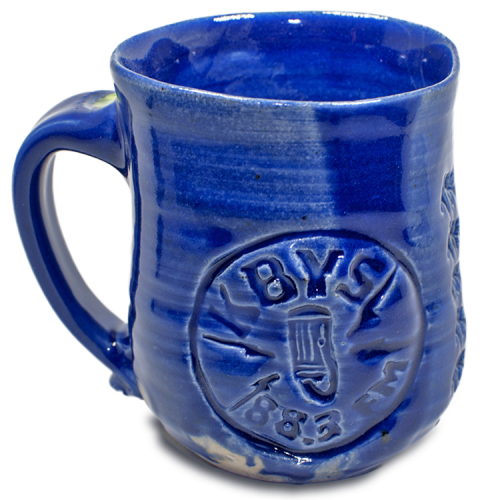 He made 100 mugs for McNeese’s radio station, KBYS-FM. This generosity is his way of giving back to the community he loves. Next time you’re in Stellar Beans, ask for a Rex Alexander mug. If you like it, you can buy it and take it home. Or you can leave it at the coffee shop on a top shelf with your name on the bottom and use it each visit. For more information or to peruse and purchase Alexander’s work, see his website, http://trxtrxtrx.com. Find local artists like Rex at this year&apos;s Gallery Promenade. Click for details! In June 2007, Angie Kay Dilmore and her family moved from their hometown of Pittsburgh, Pa. to Lake Charles, La. The transition from Steeler Country to Cajun Country has been an ongoing adventure. Follow this freelance writer as she continues her journey in a new state, a new town, at angiekaydilmore.blogspot.com.